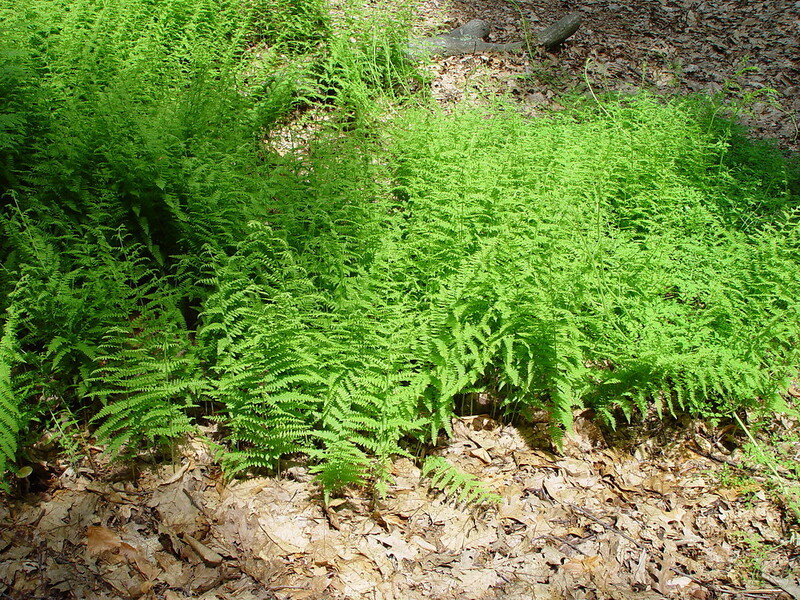 Species in the Dennstaedtiaceae are perennial ferns that grow on soil. 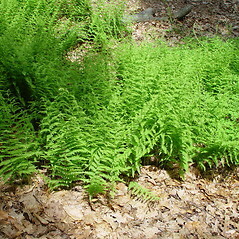 In New England, the family is represented by two genera, each with one species. The leaves are divided into leaflets, which may be additionally subdivided or lobed. 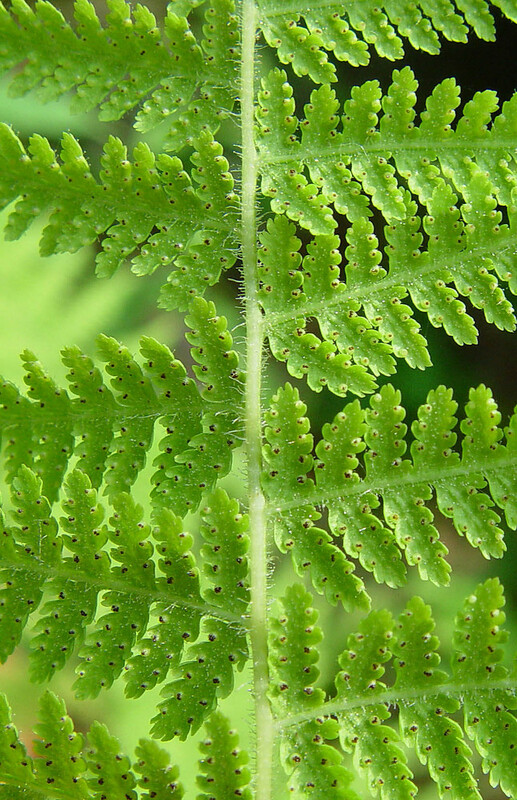 The upper side of the midrib of the leaf is usually deeply grooved. The leaves may have tiny hairs or be hairless. 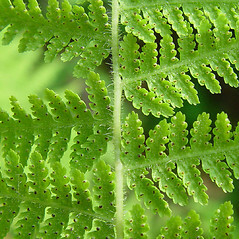 The spores are arranged along the edges of the leaflets or at the tips of veins and are covered by a false indusium comprised of the curled-over leaf margin or a curved-over tooth. The species in this family were formerly considered to belong to the Polypodiaceae.